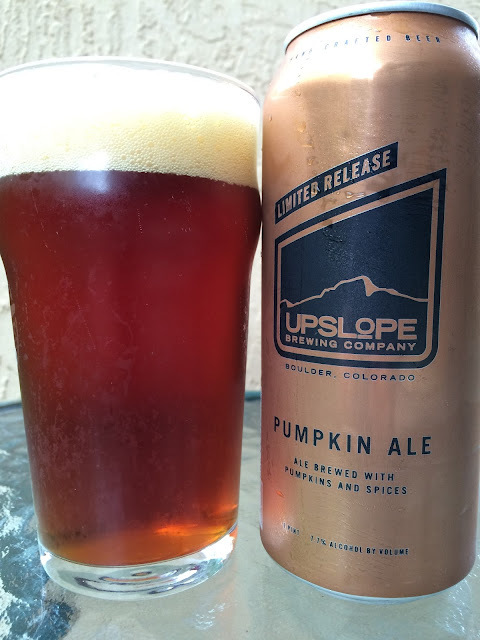 Upslope Brewing Company's Pumpkin Ale was the Gold Medal Winner at the Great American Beer Festival (GABF) in 2011 in the Pumpkin Beer category. So this pounder can is going to be awesome, right?!? The brewery has maintained its relationship with Munson Farms since then, which provides the locally-grown baby bear pumpkins for the beer. 7.7% alcohol. Sweet and spicy aroma. Pumpkin flavors meld with ginger and cinnamon spices right from the beginning. Soft, subtle, balanced, synergizing. And WOW, what a creamy and silky smooth texture. Malty sweet yet balanced. Extremely enjoyable and easy to see how it won that GABF medal a few years back! I can't think of any pumpkin beer I've ever liked better than this one, either! So check this beer out for sure!! !